As History.com notes, on this day in 1865 legendary western gunman Wild Bill Hickok fought his first western showdown. 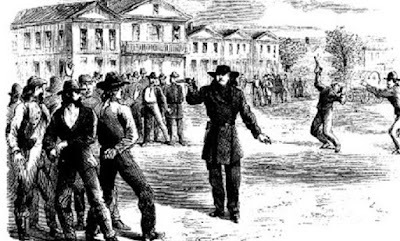 In what may be the first true western showdown, Wild Bill Hickok shoots Dave Tutt dead in the market square of Springfield, Missouri. Hollywood movies and dime novels notwithstanding, the classic western showdown–also called a walkdown–happened only rarely in the American West. Rather than coolly confronting each other on a dusty street in a deadly game of quick draw, most men began shooting at each other in drunken brawls or spontaneous arguments. Ambushes and cowardly attacks were far more common than noble showdowns. … The best-known example of a true western duel occurred on this day in 1865. 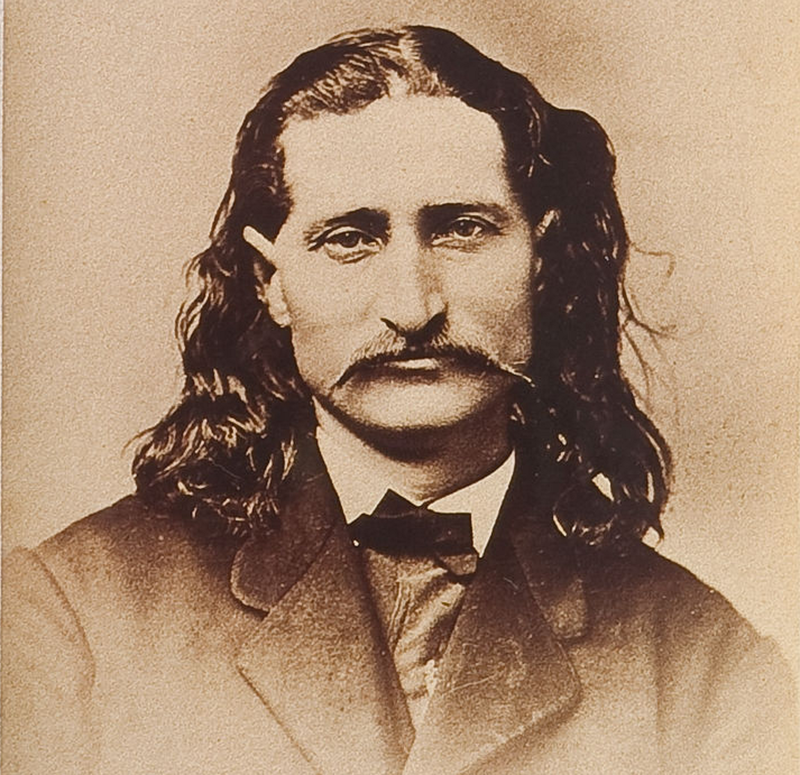 Wild Bill Hickok, a skilled gunman with a formidable reputation, was eking out a living as a professional gambler in Springfield, Missouri. He quarreled with Dave Tutt, a former Union soldier, but it is unclear what caused the dispute. Some people say it was over a card game while others say they fought over a woman. Whatever the cause, the two men agreed to a duel. Note: The above illustration of the Hickok and Tutt shooting appeared in Harper's Monthly magazine.